“Parallels” is One of the Best Commercials I’ve Seen All Year. StrawberryFrog and director Dante Ariola have produced an absolutely killer ad for Jim Beam. “Parallels” asks makes a simple point. “The choices you make define what you become”. Willem DeFoe narrates the story and plays characters in a duality, showing the contrast between choices that are well made, and those that are not. The narration is so simple, and so direct. Powerful and potent. The visual direction and story build to a singular point that references the beginning of the spot, and the product is mentioned only once in the actual piece. (I’m pretty sure the full color ad slick on the end was an after thought tacked on by someone else) This spot is part of the “Bold Choices” campaign created by StrawberryFrog for Jim Beam, and is indicative of the kind of stellar work they produce. I really hope they continue with these kinds of TV spots for Jim Beam in the future. Now if you produced a spot that is going to air during the Super Bowl on Sunday, I hope you made a bold choice to produce something this good. Posted in Advertising, Video and Motion Graphics and tagged Advertising, Bold Choices, Commercial, Dante Ariola, Film, Jim Beam, StrawberryFrog, TV Commercials, Video, Willem Defoe on January 30, 2013 by Author. 50 years of D&AD Work in Under Two Minutes. Here is a quick little bit of fun for your Monday. 50 years of D&AD Awards in two minutes. How many of these can you name? I hit about half of them, and it took some work to get that many. Posted in Advertising, Design and Art and tagged Advertising, Commercials, Design, Television, TV Commercials on March 12, 2012 by Author. PMH TV Spots for JCPenny. Americana Updated. If you have been lucky enough to catch any of the TV spots for JCPenny in the last week or so, you might have noticed a similarity to Target ads. That design minded aesthetic is something that PMH was known for in the direction of the ads they styled for the Target brand. Directed by MJZ’s Rocky Morton, the new suite of TV spots for JCPenny have clean, colorful well designed look, that are humorous, and at times bordering on cute. There is nothing wrong with that. The spots work fusing great visuals, editing, and copy writing to complete the set. I hope these ads are as successful for JCPenny as the ads PMH produced for Target were. JCPenny, like other established retail giants (Sears in particular) have felt a pinch from newer rivals like Khols over the last few years as brand perceptions have shifted about the quality of their product, store fronts, and price points. In addition to the “Fair and Square” campaign that the previous spots support, JCPenny is launching another spot for February directed by Grand Large’s Gaysorn Thavat. This spot features Billie Holiday’s 1937 recording of Irving Berlin’s “I’ve Got My Love To Keep Me Warm,”as the soundtrack and tries to establish that feeling of modern-day Americana, which is what JCPenny is something that this entire series of ads does with with technicolor punch, and a bit of whimsy. Personally I think these are the best TV spots JCPenny has released in years. Posted in Advertising, Television, Video and Motion Graphics and tagged Billie Holiday, Gaysorn Thavat, Grand Large, Irving Berlin, JCPenny, Khols, PMH Adevrtising, Rocky Morton, Sears, Target, TV Commercials on February 4, 2012 by Author. Coca-Cola’s Polar Bowl, and “The Catch”. 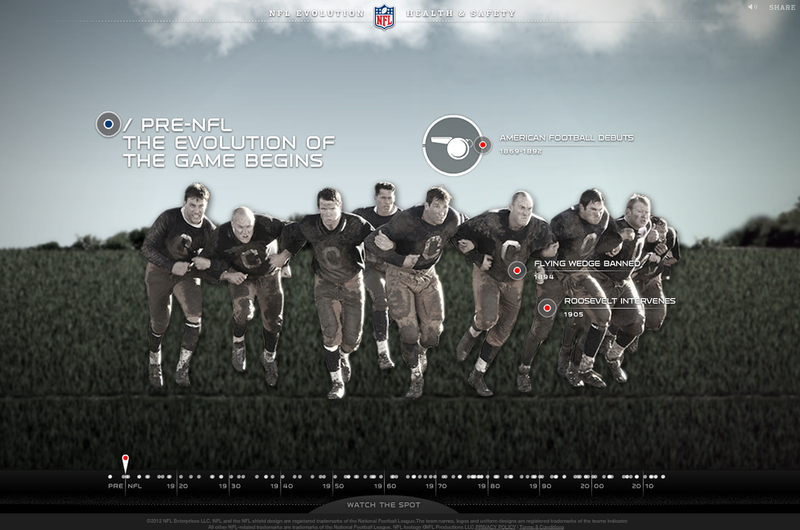 Wieden & Kennedy have spent the last three months watching old football reels, and game play to help prepare for the integrated advertising campaign they have prepared for Coca-Cola’s Super Bowl effort this year. As part of a Facebook campaign at http://www.cokepolarbowl.com, Wieden & Kennedy have prepared two versions of a 60-second spot slated to run during the second quarter. The spot that airs will be based on who has the lead at half time. In case of a tie, the commercial that airs will be based on the most recent plays and which team is most in need of a Coke. The ad is a simple concept. The “Catch,” shows two polar bears watching the Super Bowl, each wearing a scarf in his team’s colors: red and white for the Giants and blue and white for the Patriots. 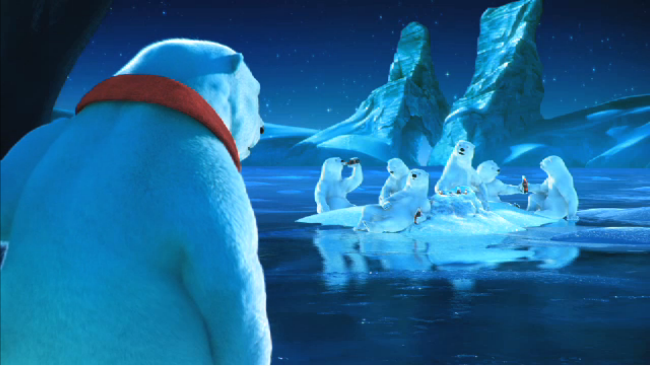 During a commercial break, one of the bears steps outside and sees a group of polar bears lounging and drinking Coke. One of the bears tosses him a Coke and he fumbles the bottle. An acrobatic dance across the ice ensues until he slides to a halt with the bottle finally secured. The bear whose team is losing will be the one to step outside the cave. NBC and Wieden & Kennedy will have execs on site at NBC and ESPN to manage different versions of the broadcast ads. Coke project lead Pio Schunker will have a command center in New York, where a team and key execs from Wieden & Kennedy will manage the live Facebook stream and animation of the bears. that team will be located in a control room at Major League Baseball’s Advanced Media group. Using a hacked Xbox system, the creative team from Wieden & Kennedy will manipulate the bears to respond to what is going on in real time. The actions, whether a “Sigh” or a happy dance, are slightly randomized, so even the creative puppeteers, don’t know exactly which action the bears will do. “Watching the game this year? So are the Coca-Cola® Polar Bears. On February 5th, join the Polar Bears as they watch the game and chat with fans LIVE at www.CokePolarBowl.com. For each RSVP, Coca-Cola will donate $1 to World Wildlife Fund to help polar bears and their Arctic home. 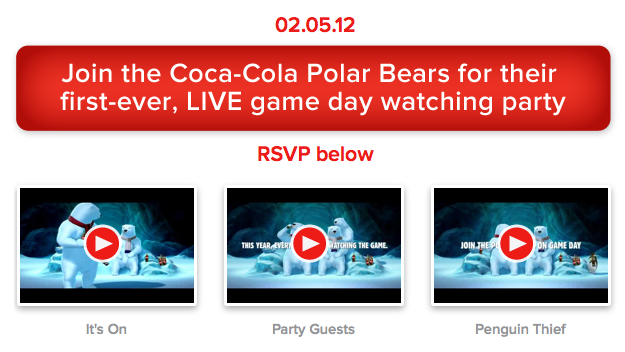 * RSVP now and visit www.CokePolarBowl.com on game day to hang out and chat with the Coke Polar Bears during the game. And don’t worry; they’ll bring their own Coke. Posted in Advertising, General, Social Networking, Technology, Television, Video and Motion Graphics and tagged Coca-Cola, Coke, Coke Polar Bears, Facebook, Social Networking, Super Bowl, TV Commercials, X-Box on January 29, 2012 by Author.